Frank Key Group Limited are delighted to announce the acquisition of the C Bancroft Group, with its two trading subsidiaries Banson Tool Hire Limited and Charles Watson (Ironmongers) Limited. 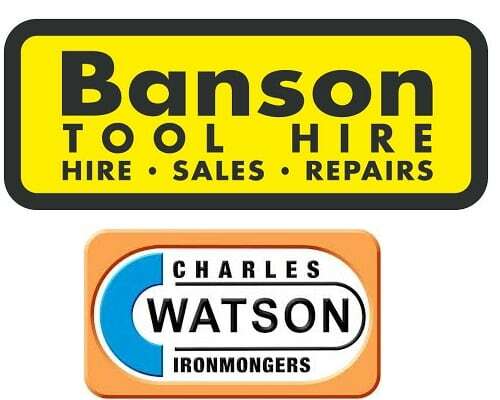 Banson Tool Hire is a 10 branch hire business with its head office in Halifax, West Yorkshire. As well as Halifax, the branches are located in Batley, Bradford, Huddersfield, Keighley, Leeds, Oldham, Rochdale, Rotherham and Wakefield. The business has traded since the 1960’s and became available due to the retirement of the brothers who owned and managed this family business. To Integrate these branches with the current Frank Key hire operations, Richard Meeks has been promoted to the role of Group Hire Director. Charles Watson Ironmongers has the same head office in Halifax and a smaller branch in Leeds. It has also been trading since the 1960’s and has a number of complimentary product lines to our existing merchant businesses. In addition to the branches, the business has strong online trading and we are looking to expand on this, over a wider product range.